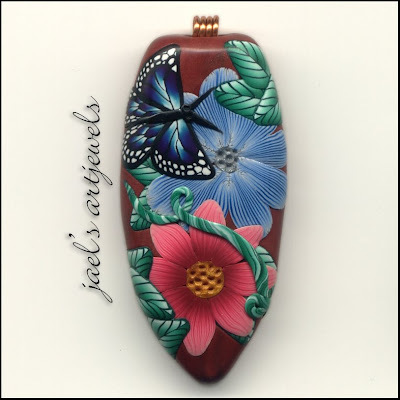 Jael's Art Jewels Blog: Oh, dear... has it been a week?? Oh, dear... has it been a week?? I guess so.... how did that happen? My husband is not feeling well, my son is feeling the stress of the end of the semester... just haven't been thinking of posting! But I have been making and baking beads. Putting a few up on etsy and ebay - one left on ebay, ending tomorrow with no bids yet on it. It's a very pretty bead, too, and a great starting price!